When it comes to travelling to Thailand, the first place you will probably think of is Bangkok. It’s not surprising that the capital, with its myriad of food choices and cheap shopping, is one of Singaporeans’ favourite travel destinations. 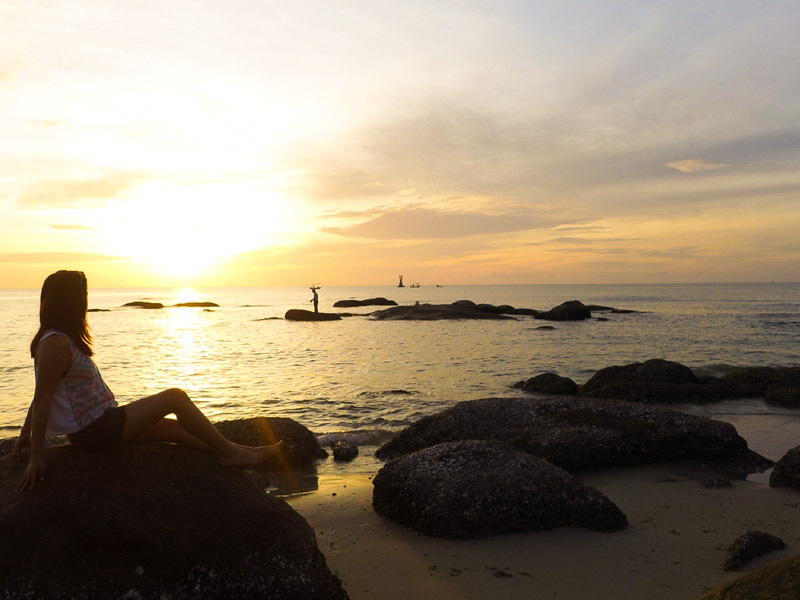 But why not leave the city behind and visit the lesser-known Hua Hin and Cha-am instead? These districts may not be as bustling as Bangkok but there are still plenty of things worth checking out. To get to Hua Hin from Bangkok and vice versa, you can get a bus ticket from Bell Travel Service at approximately THB419 per pax, which allows you to bring one small personal bag and a luggage. When you arrive at Suvarnabhumi Airport in Bangkok, head to the airport bus station and wait for your coach. Be punctual because the coach departs on the dot. 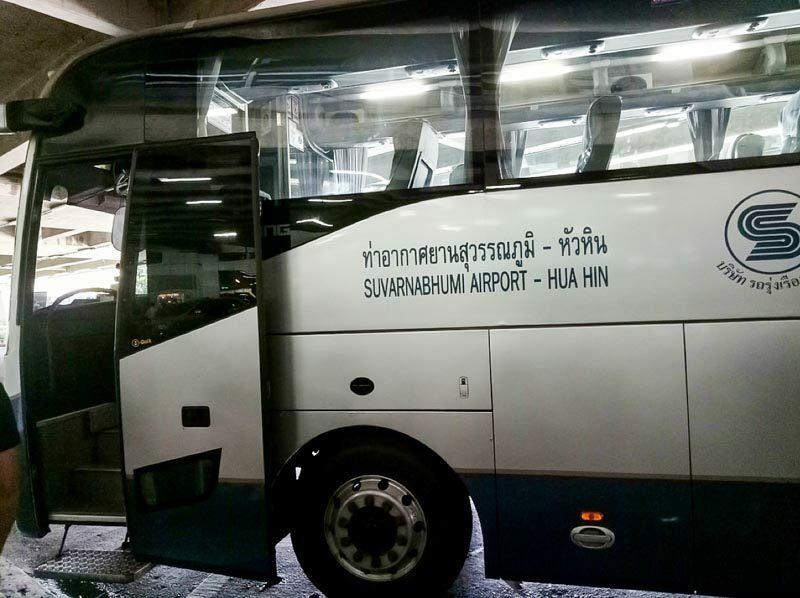 You will then be brought to Hua Hin Bus Station (located within Hua Hin Town Centre) after a three-hour drive, before changing to a shared van. The van typically drives passengers to their respective hotels within Hua Hin, so you will be conveniently dropped off at the entrance of your hotel too. 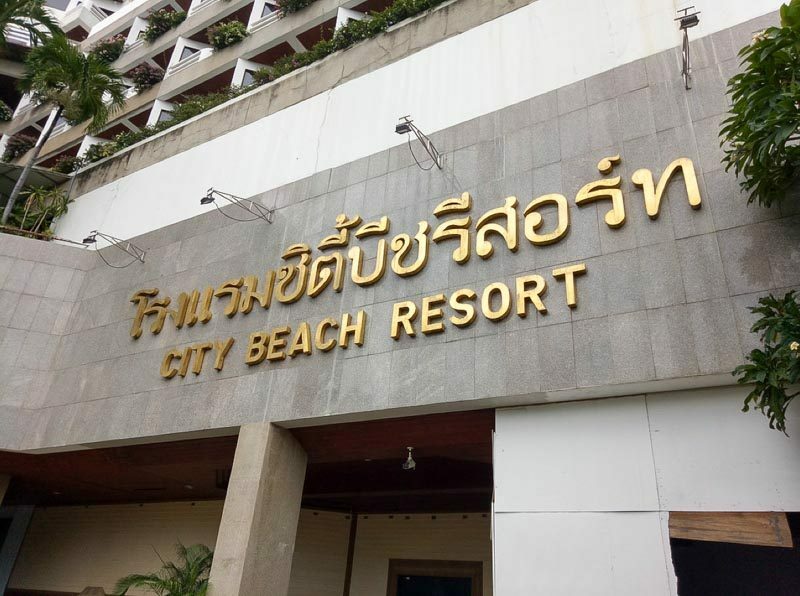 During my trip, I stayed at the City Beach Resort Hotel, which was a clean, convenient and comfortable three-star hotel. 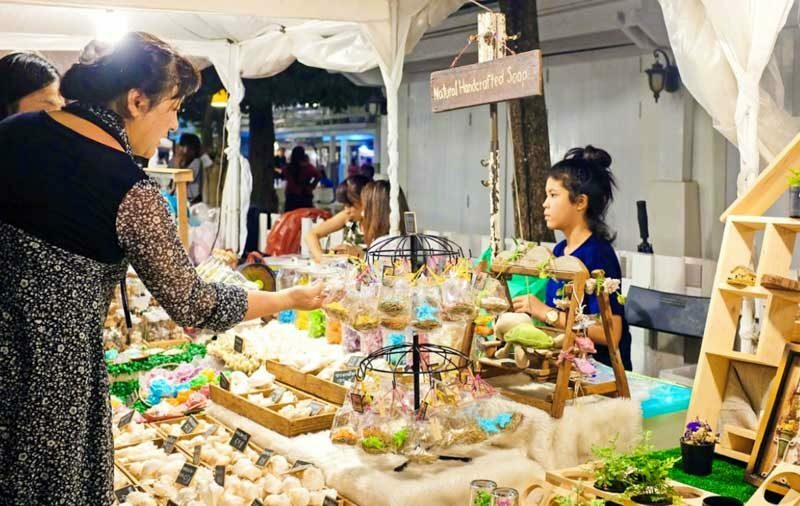 If you are in Hua Hin on a Friday or a weekend, you should not miss the Cicada Night Market, a popular art market in this district. You can get there by taxi if you want to arrange transport on your own. Otherwise, many hotels can help you book a private charter. Cicada Night Market is an excellent spot for arty farty tourists to buy handcrafted goods and souvenirs or check out paintings and sketches in the art gallery. As it is also a platform for local art groups to showcase their talents, they have regular live shows to entertain the crowd. Be sure to show your support for these creative groups while you are there! Cha-am is only a 20-minute drive from Hua Hin but public transportation is not widely available there. Many of the tourists who visit Cha-am either drive or organise their own private charter. 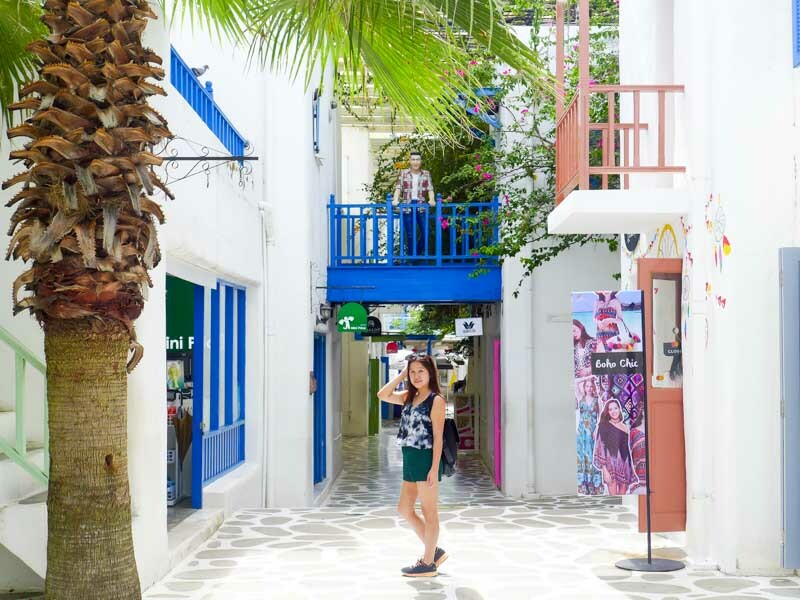 It’s really worth a visit because of a few out-of-the-norm activities that you can do, like visit the beautiful Santorini Park. I recommend booking a private charter through your hotel or in advance. Prior to our trip, my partner booked a tour through Ms Na Hua Hin Taxi Service (you can email [email protected]) for THB1,800 (total price for an eight-hour service) after negotiation, so that the driver could also bring us to several locations that are further away. Do note that this price does not include tipping the driver at the end of the service. 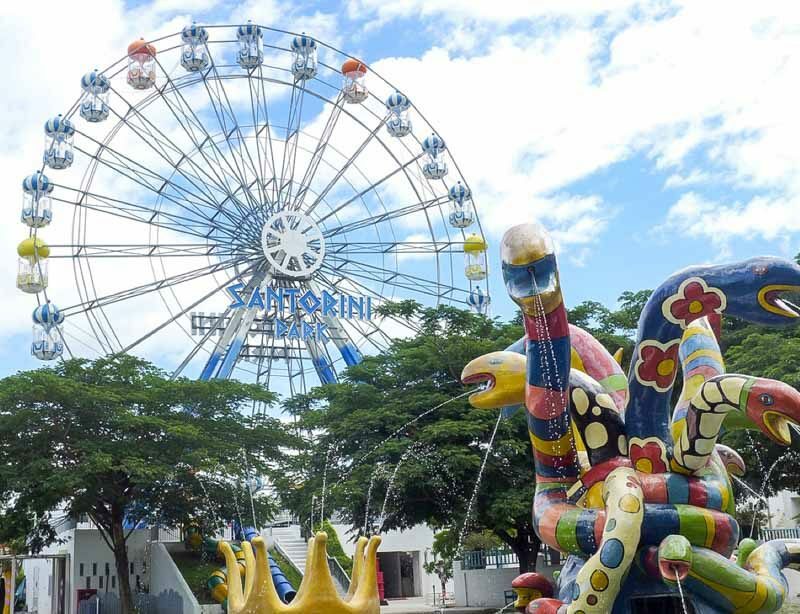 Santorini Park in Cha-am is a theme park modelled after Santorini in Greece, and it is the perfect place for people who love taking Insta-worthy shots. So arm yourself with a camera and start exploring! Admission to the park costs THB150 per pax and comes with one free ride ticket. Many of the rides are quite kiddy so the best ride to go for if you are an adult is the Ferris Wheel. As the park is not very big, you only need to allocate around two to three hours to visit this place. One tip: Aim to visit the park just when it opens at 9am (on weekends) or 10am (on weekdays) because the crowd starts streaming in between 11am and 12pm – you do not want photobombers in your photos. 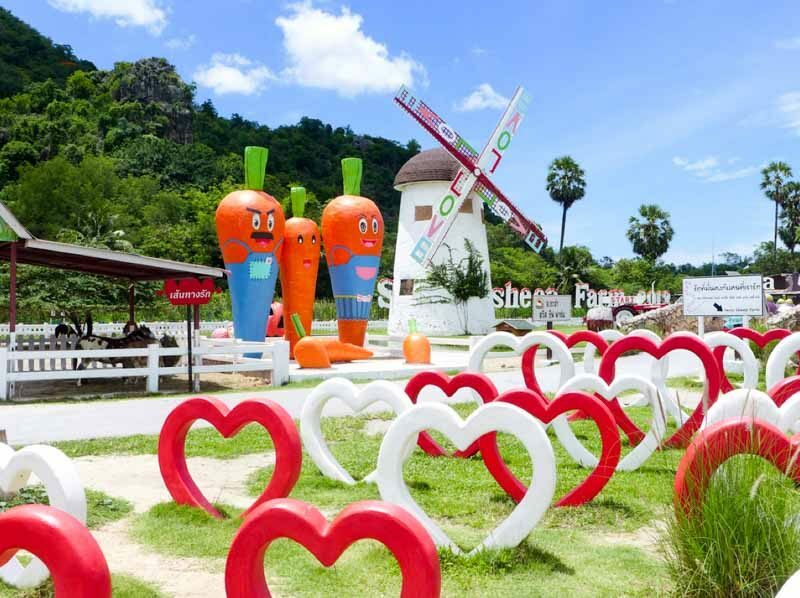 Right next to Santorini Park is Swiss Sheep Farm, another Instagrammable place that’s home to adorable farm animals. If you are a parent looking for a place to bring your kids, Swiss Sheep Farm is definitely worth visiting. Even though the farm is located across the road from Santorini Park, the main entrance is located far off so it is best to get your driver to get you there. 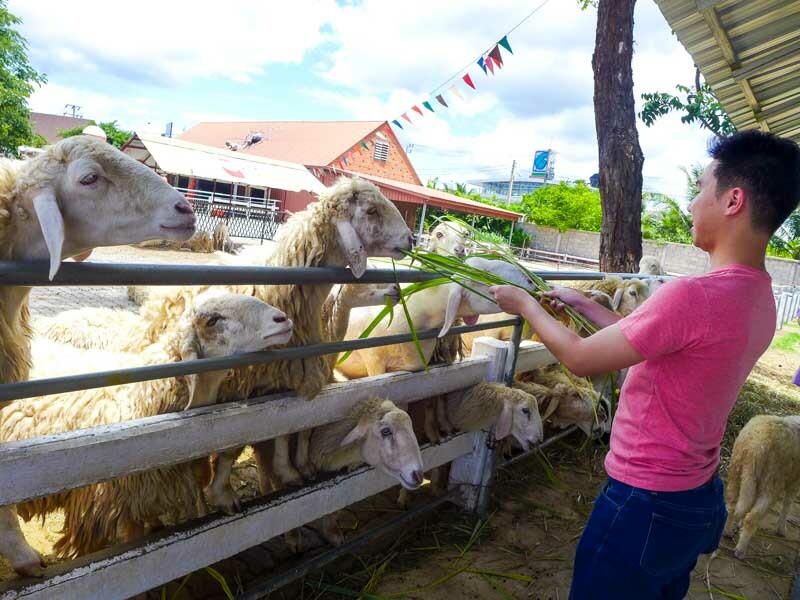 Admission fees are THB150 baht per pax and include one session of sheep feeding. There are other animals to interact with too; you can take photos at the Swan Lake, ride ponies and feed bunny rabbits as well! 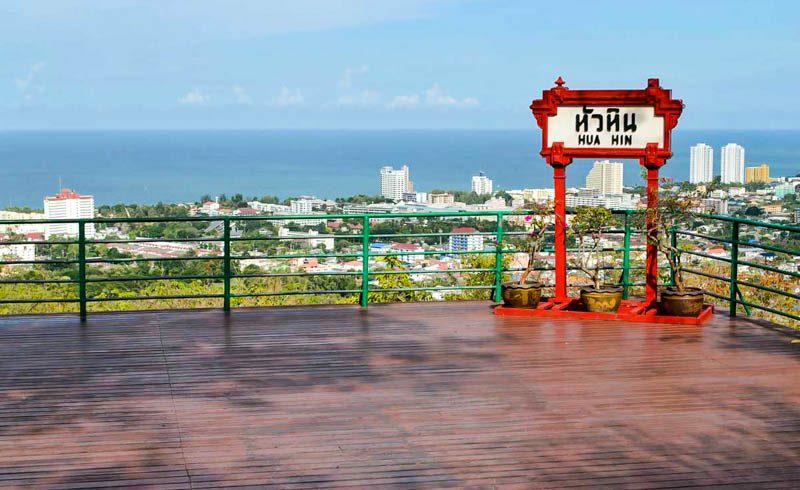 If you’re not already weary from all the photo-taking by this point, you can get your driver to drive you to Khao Hin Lek Fai View Point in Hua Hin on your return journey. This place offers a splendid bird’s eye view of Hua Hin and will make you feel on top of the world! If you can catch the sunset at the same time, it will be so romantic. There are several viewpoints around the hill and to get there, visitors can drive, bike or even climb the hill. The hill is rather steep though so driving will be the most manageable option. Sometimes there are also random monkey sightings, so do keep a lookout for them. Who’s up for some exercise on a holiday? 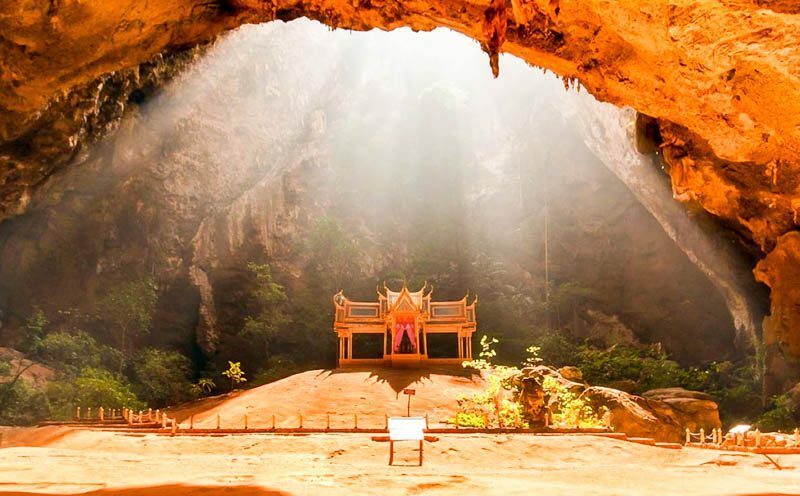 For the adventurer, you should visit the Phraya Nakhon Cave, especially if you have time and energy to spare. Located within the Khao Sam Roi Yot National Park, the journey to the cave offers a picturesque view of mountains, forest and beaches. Similarly, you can get a private charter to drive you to the carpark of Bang Pu Village. From there, you can either climb across a hill (30-minute journey) or take a boat ride to Laem Sala Beach for a fee of THB150 per pax. From the beach, you can then walk up a hill towards the cave. It may be quite a journey where you will need to walk a lot, but rest assured that the trek is worth your time and experience. Keep your programme light during Day 3 since you might feel exhausted from all the walking – there are plenty of massage parlours and spas within Hua Hin Town Centre which you can check out after. 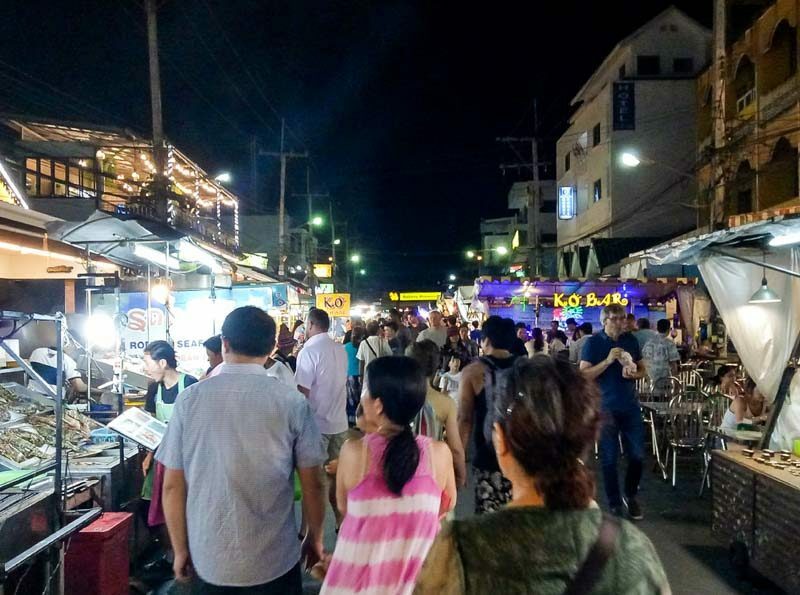 If you are staying within Hua Hin Town Centre, it’s only a 10- to 15-minute walk to Hua Hin Night Market to get your Thai street food fix. You’ll find plenty of stalls selling skewered meat, Thai snacks and desserts, such as mango sticky rice, coconut ice-cream and crepes. 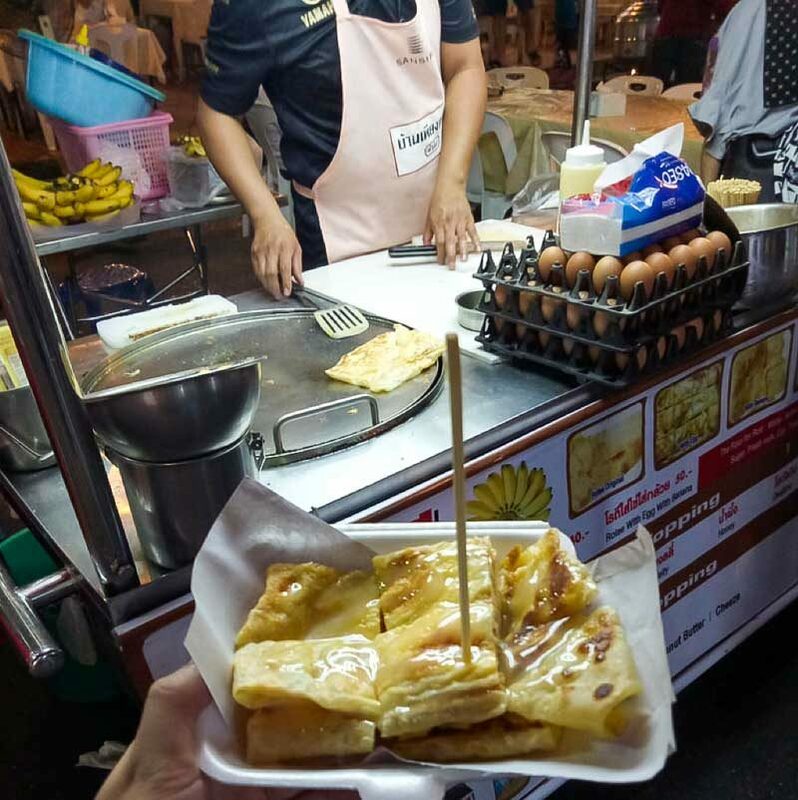 We found this delicious dish called Rotee, which was basically bite-sized pieces of roti prata drizzled in sauce – highly recommended! There are also retail shops if you want to go on a shopping spree, with prices that are generally low. Unlike Bangkok, the stall owners are less pushy and typically do not allow bargaining unless you buy in bulk. 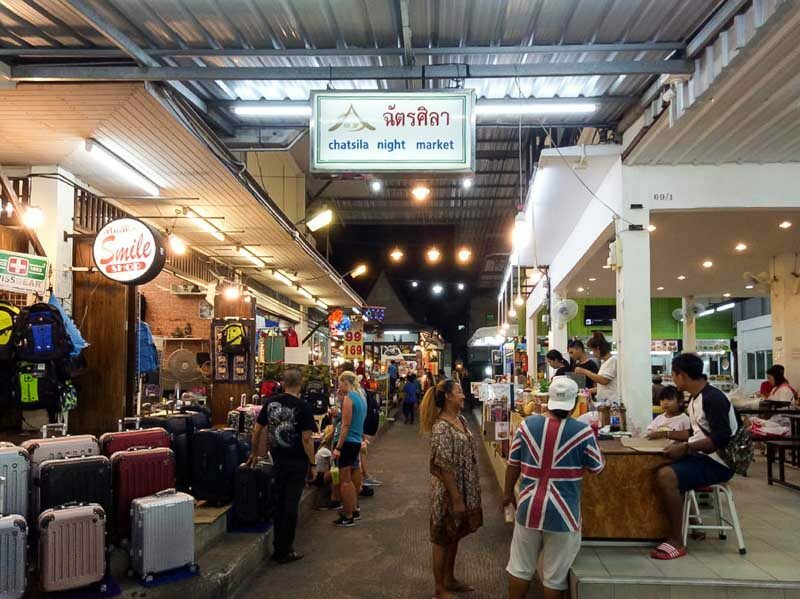 Connected to Hua Hin Night Market is Chatsila Night Market, an indoor market that sells trendy souvenirs. This place had a ‘Bugis Street’ vibe and was undoubtedly popular with tourists. The items sold in Chatsila Night Market were on the pricier side, but they were of better quality, particularly the handcrafted goods. 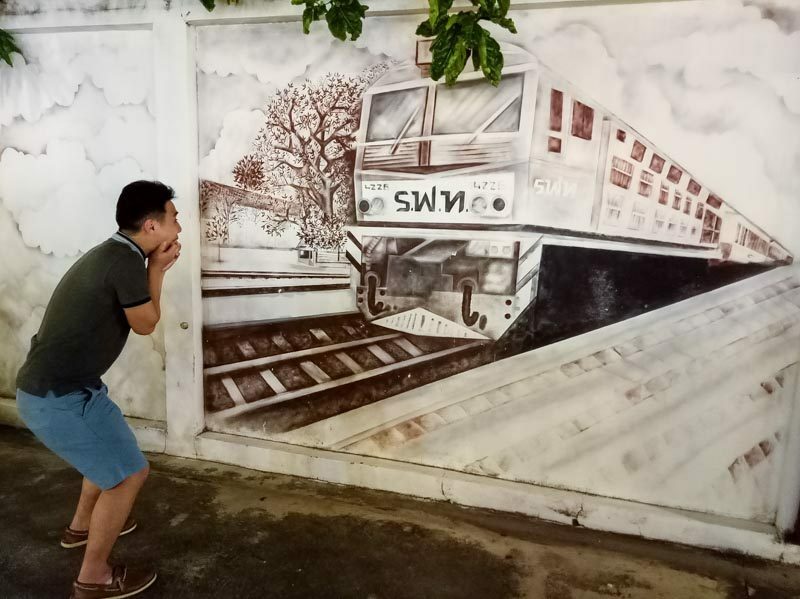 While you are there, look out for all the artistic wall murals which feature the various landmarks and icons in Hua Hin, and pose for some photos! Since Hua Hin is a beach town, you cannot leave without checking out the beach. Fortunately, Hua Hin Beach is only around a five- to 10-minute walk from Hua Hin Town Centre so you should definitely drop by. The sun rises really early in Hua Hin (it started around 5.58am when we were there), so if you do not mind starting your day super early, Hua Hin Beach is an awesome place for an amazing view. Stay on after to soak in all the beach vibes! Besides suntanning or taking lazy strolls along the sandy beach, you can also participate in water sports such as jet skiing and banana boating for a fee. There’s even a horseback riding experience along the beach which would make for great memories. Another must-visit place in Hua Hin is the iconic Hua Hin Railway Station that combines both Eastern and Western architecture. 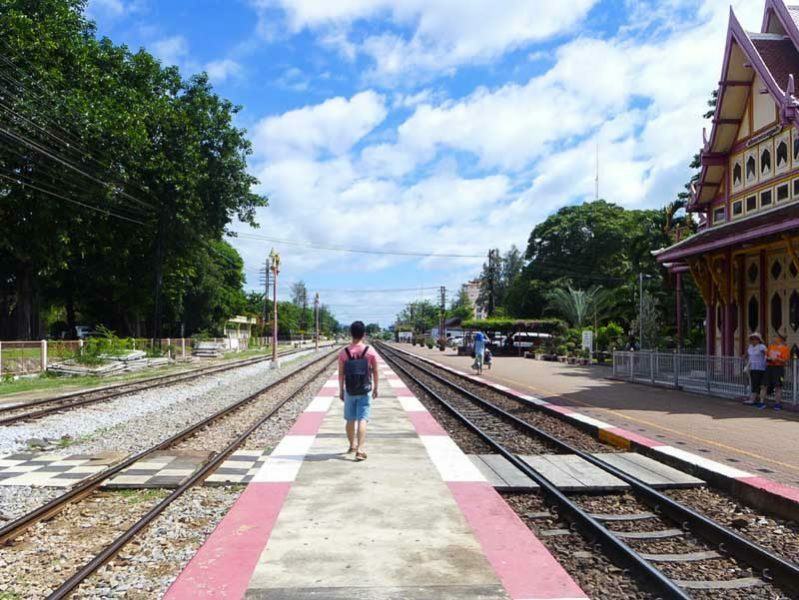 In the early days when there was no road access to Hua Hin, the railway station was built to facilitate travel to Hua Hin from Bangkok. Now, it has become a popular tourist destination within walking distance from the centre and you will often spot people taking pictures along the railway tracks. The trains are still functioning though, so do be careful! If you’re up for it, you can enjoy a four-hour train ride from Bangkok to Hua Hin as an alternative mode of transport. 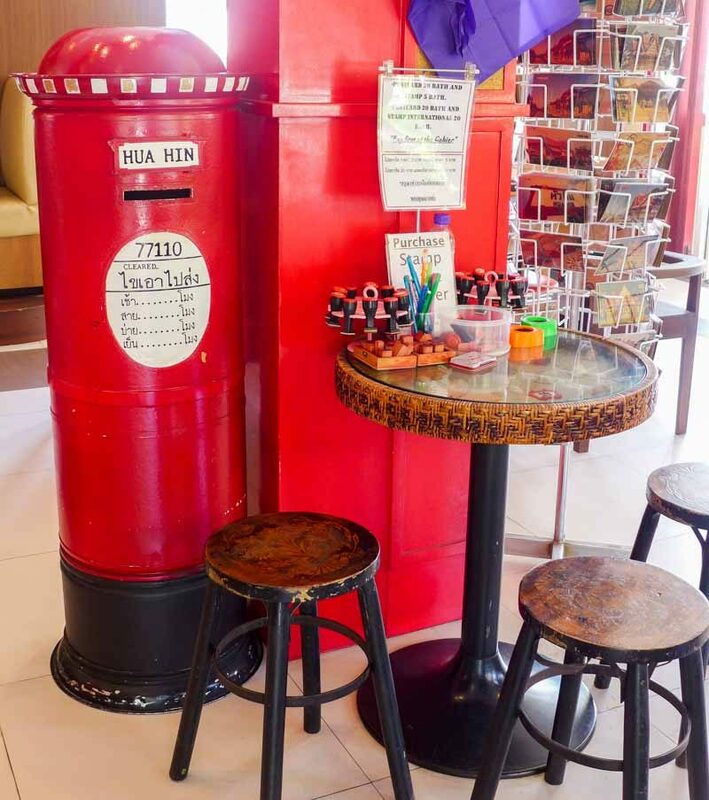 There’s also a Hua Hin Coffee Station next to the railway station where you can chill with some drinks or purchase lovely souvenirs after exploring the area. Still have some time to spare before you head back to Bangkok to catch your flight? 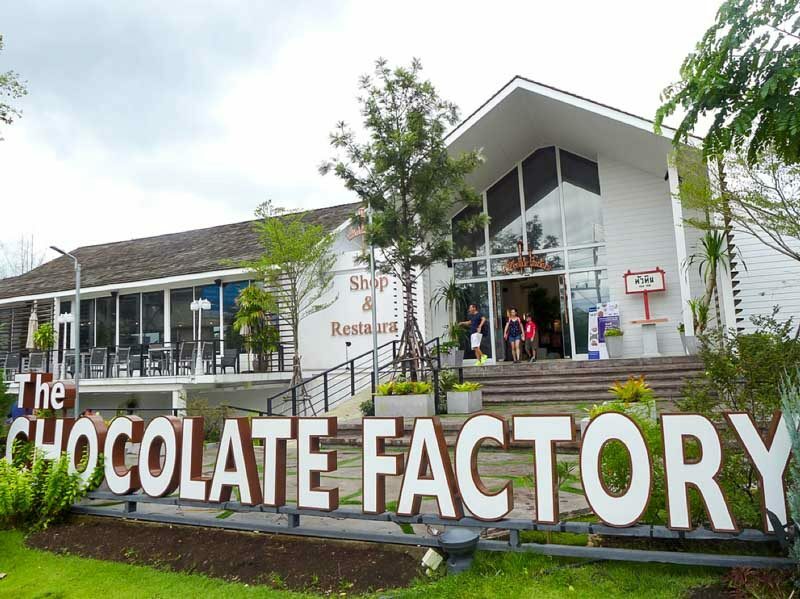 Visit Hua Hin Chocolate Factory! Contrary to its name, the Chocolate Factory is not a place where you get to see chocolate being made. Instead, it houses a small gallery featuring the history of chocolate, a retail shop and a restaurant. This place is also only around a 10- to 15-minute walk from the Town Centre. 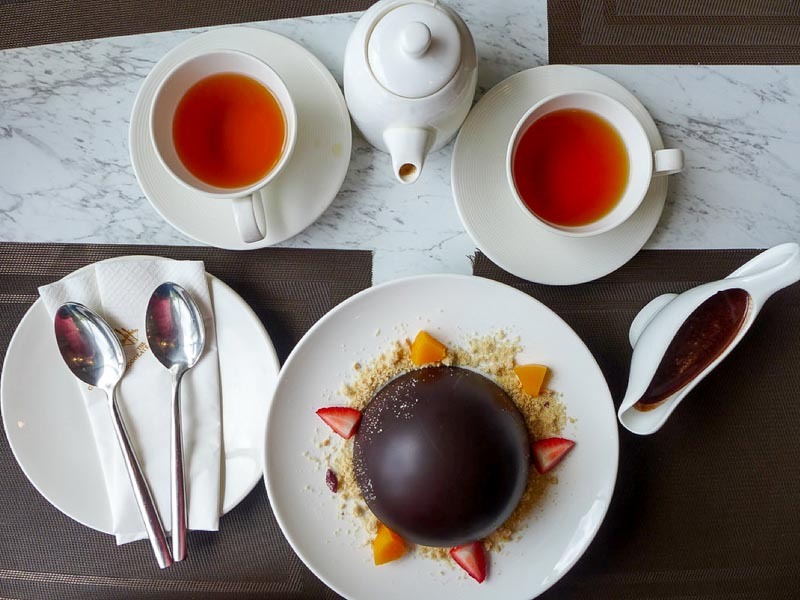 The restaurant is a wonderful place to sit back and relax with chocolate desserts and drinks. I recommend the Chocolate Dome which melted when we poured hot chocolate over it. It was so sinful but SO good. There is a connecting playground beside the restaurant for your kids to entertain themselves while you enjoy your tea. Before you leave, drop by the retail shop to get some chocolate treats for your family and friends! Hua Hin and Cha-am may be quiet and laidback spots, but they have plenty to offer and are perfect for short trips and weekend escapades. If you have time to spare, you can also visit other attractions such as The Venezia, Sam Phan Nam Floating Market, Plearnwan Vintage Market and Mrigadayavan Palace. I wish you a fruitful trip!